light into nerve signals that tell the brain what you are seeing. require fine, sharp, straight-ahead vision. vision). Peripheral vision is usually not affected. 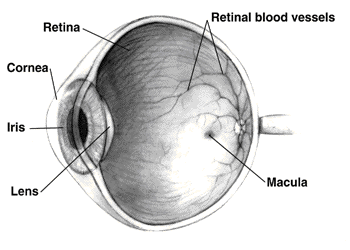 experience swelling of the retina. vision after treatment. Treatment may take up to a year for full effect.